The online version of this article ( https://doi.org/10.1186/s12879-019-3949-8) contains supplementary material, which is available to authorized users. Lyme borreliosis is caused by tick-borne Borrelia burgdorferi sensu lato genospecies. The incidence of tick bites and cases of Lyme borreliosis has increased substantially over the past decades. In the Netherlands, annually over one million people report a tick bite, and more than 25.000 cases of Lyme borreliosis are diagnosed [1, 2, 3]. The most common manifestation of Lyme borreliosis in Europe is erythema migrans, a red or bluish-red expanding skin lesion arising within days to weeks at the site of the tick bite. A minority of infected individuals develops disseminated Lyme borreliosis, of which Lyme neuroborreliosis, Lyme arthritis and acrodermatitis chronic atrophicans (ACA) are most common . Although Lyme borreliosis generally responds well to antibiotic therapy, some patients report persistent symptoms after treatment. However, the prevalence of persistent symptoms in literature varies considerably, between 0 and 48% [2, 5, 6, 7, 8, 9, 10, 11, 12, 13, 14, 15, 16, 17], and many of these studies lack proper controls. Case definition, Lyme borreliosis manifestation, follow-up, geographic location, and delay between onset of symptoms and treatment might explain the divergence in prevalence. Whereas the initial objective manifestation usually resolve, disabling symptoms such as fatigue, musculoskeletal pain and neurocognitive disturbances can last for months or even years, greatly affecting quality of life. When present for more than six months, post-treatment Lyme Disease Syndrome (PTLDS) is the term frequently used to describe these persistent symptoms [9, 18, 19]. The LymeProspect study evaluates the prevalence and severity of persistent symptoms after treatment for Lyme borreliosis, and aims to identify determinants for these symptoms. This study is the first to apply a prospective design, investigating a broad range of hypotheses on the etiology of persistent symptoms in a large cohort of patients with confirmed Lyme borreliosis. Previous studies have described the prevalence of persistent symptoms attributed to Lyme borreliosis in the United States and in Europe. Several studies have reported associations between individual microbiological, immunological, genetic, clinical and cognitive-behavioral factors and persistent symptoms after treatment in specific groups of patients. Firstly, persistence of Borrelia infection after antibiotic treatment has been suggested as a cause of persistent symptoms after treatment , although this is difficult to detect with the current diagnostic tools, and randomized trials have not found beneficial effects of prolonged antibiotic treatment in patients with persistent symptoms [35, 36, 37, 38]. Other microbiological hypotheses include culture positivity, infection by specific Borrelia burgdorferi s.l. genospecies or strains, and co-infection with other tick-borne pathogens [39, 40, 41, 42], although there is no convincing evidence of long-term infection with other tick-borne pathogens in patients with persistent symptoms attributed to Lyme disease . Secondly, an ongoing aberrant immune response and underlying genetic polymorphisms may play a role. This has been specifically well-studied in patients with antibiotic-refractory Lyme arthritis [44, 45, 46]. Furthermore, several cytokines or cytokine profiles have been related to persistence of symptoms after treatment for Lyme borreliosis [15, 47, 48, 49, 50]. Thirdly, in a cognitive-behavioral model, the persistence of symptoms was related to beliefs and behavior of the patients in response to these symptoms. This model has been successfully applied to persistent symptoms in other conditions [51, 52], and previous studies have suggested that psychological factors could play a role in functional outcome in patients with Lyme borreliosis [10, 53]. 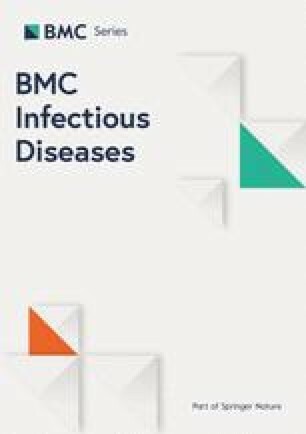 Finally, clinical and epidemiological factors could be associated with persistence of symptoms, including age, clinical signs, co-morbidity, Lyme borreliosis manifestation, duration of symptoms before start of treatment, type of antibiotic treatment, and prior exposure to tick bites or Borrelia infection [14, 54].